You would be hard pressed to find a more charming companion than Olivia. She was tip-top of her class at this years’ Camp Good Dog for Kids, mastering all manner of commands. She walks on leash with a runway models prowess, and at 7 months old she is brimming with “All-Star” potential. 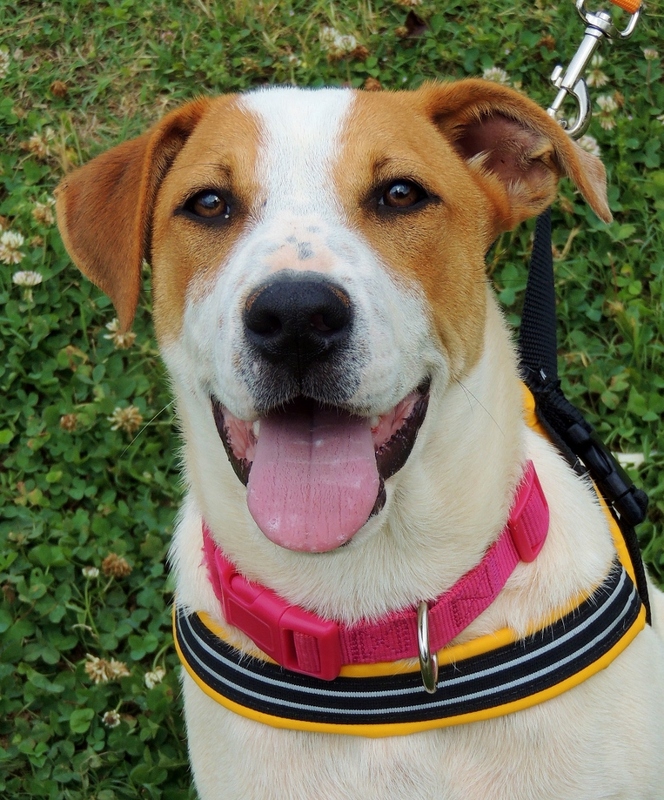 Olivia is a versatile hound mix with just as much good looks as smarts and good old fashioned personality. 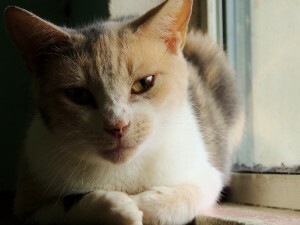 Her bright white coat is marked with caramel colored patches and the occasional grass stain from begging for belly rubs. Olivia shines brightest in a crowd, adoring children of all ages and pets of all kinds, the more the merrier is this girls motto. A larger pup, she will do best in an active home or one with a fenced in yard to romp in. Come visit Olivia and see for yourself what a fun furry friend could add to your life.